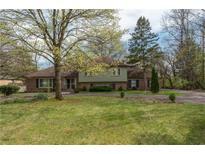 Below you can view all the homes for sale in the Spring Mill Estates subdivision located in Indianapolis Indiana. 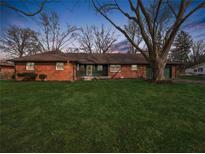 Listings in Spring Mill Estates are updated daily from data we receive from the Indianapolis multiple listing service. To learn more about any of these homes or to receive custom notifications when a new property is listed for sale in Spring Mill Estates, give us a call at 317-900-4552. Enjoy easy walks to local schools and community centers or enjoy the golf life.This home is ready for simple touches to make it perfect. MLS#21626681. RE/MAX Advanced Realty. .65 acre yard. So Much to Love Here! MLS#21623965. F.C. Tucker Company. Home Updates Include New Furnace, New Electrical Meter, Newer Overhead Insulated Garage Door, Painted Kitchen Cabinets And New Kitchen Flooring, All Appliances Stay Including The Washer & Dryer, New Frig, New Range, And New Dishwasher, There Are Hardwood Floors Under The Existing Carpet. MLS#21618453. RE/MAX Results. Master suite features stone fireplace, large walk-in closet, awesome walk-in tiled shower, tiled floor. 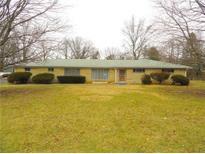 MLS#21616232. Gloria J Bodily-Hall.